Author Spotlight: W.S. Martin and Brave Boys of Derry or No Surrender! The story of the 1689 siege of Londonderry proclaims the power of God in the incredible resistance of the City of Londonderry against the attempted Jacobite conquest of Ireland by the deposed King James II of England. While the city leaders vacillated, thirteen bold and brave young apprentices took the initiative to close the city gates. “No surrender!” became the rallying cry. Faith in Christ gave the people of Derry the courage to resist in the face of extended siege, blockade, starvation, and disease. Liberty lovers—young and old—should read this book. It was now clear that the city was not to be taken by assault. Other means must be tried. It was not only the enemy outside the walls that the brave defenders had to contend with; remorseless foes, in the shape of hunger and fever, came to the aid of the Irish, and it was now evident that the besieged would have to be starved out of their position. The most extraordinary means were adopted to prevent any food being taken into the town. Not much is known about the author. Mr. W. Stanley Martin was a stationer and was partner in the City of London firm, Martin & Purnham. He spent his last days in Felpham in Sussex, England and used to attend services at the Chapel of the Bannister, Theological College in Felpham. 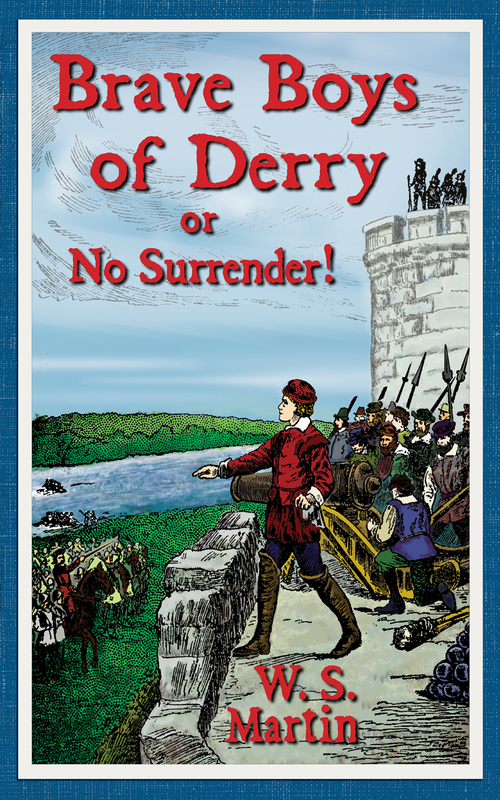 You can visit the publisher online at www.NordskogPublishing.com to learn more about the Brave Boys of Derry or No Surrender! We’ll be reviewing this book on the 16th. I hope you check back in to read our thoughts. Will definitely check back. Sounds interesting!